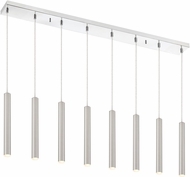 From the surreal to the serene, multi pendant lights are both the future and the past of lighting, simultaneously. 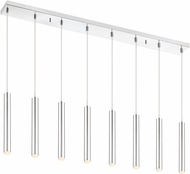 More than a single light, but not quite a chandelier, Multi Pendant lights utilize either a single row design, cross bar, or circular canopy. 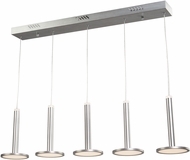 From the outrageous excessive and bombastic to the sensual, Multi pendant lighting runs the design gamut, with glorious style and flair. 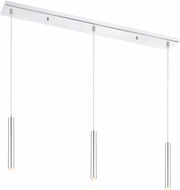 Many manufacturers offer quality built to order multi pendant lighting combinations with over 10 glass options and 10 finishes per fixture, making them uniquely your own. 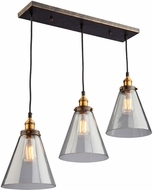 Affordable pendant lights glass fixtures are ideal for kitchens, breakfast nooks, dining rooms, lofts and accent light for living rooms. Please consult your electrician regarding whether or not you require low voltage or line voltage systems. Multi pendant lighting can be one of the best choices in lighting for your home. 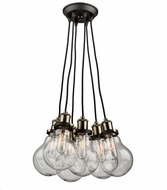 Each combination of multi pendant lights can give you just the look you were hoping for. 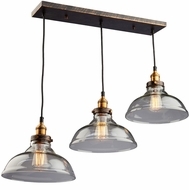 Whether you want to buy modern pendant lights, glass colored to match your décor or you opt for a more rustic style to match your taste, Affordable Lamps has just the style for you. 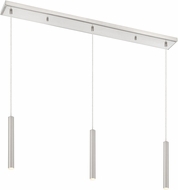 Any room in your home can benefit from the beauty and style of pendant lighting. 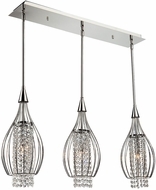 Glass pendants can change the effects your lighting has on your room. 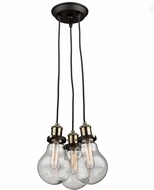 Just the right color glass can give a soft tone to the room you are decorating with pendant lighting. Glass comes in a large variety of colors suitable for your decorating style. 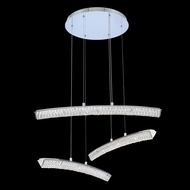 Many styles of pendant lighting, glass included are offered at sale prices through Affordable Lamps. 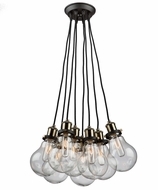 Our satisfaction guarantee accompanies all purchases of pendant lights. Glass or whatever style you choose is covered by this guarantee.